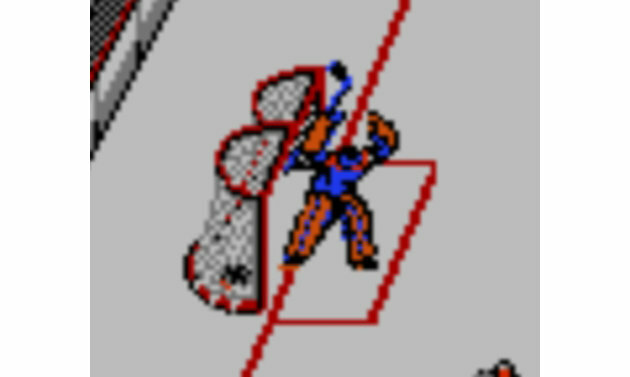 Ben Bishop’s new victory celebration has an uncanny resemblance to the Blades of Steel goalie. Colin Greening or Colin creepy? The sad part is his dancing is actually worse than his goal scoring…take a look at his stats, I didn’t think that was actually possible. Unbeknown to most, the MSG ice surface turns into a Gravitron for the 2nd period. Madison Square Garden is the best rink in the world!!! 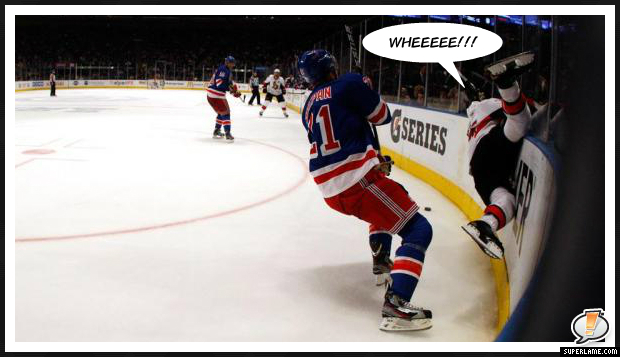 Brandon Dubinsky HATES Gatorade, and Tim Thomas HATES Nicklas Backstrom. I, on the Other Hand, LOVE the Playoffs. Score a Goal. With your Face. Mathieu Perreault scores one of Washington’s 2 goals during their 5-2 beatdown at the hands of the streaky Ottawa Senators with his face. In Case You Forgot the All Star Game was Held in Ottawa, Here is a Picture of Phil Kessel and Dion Phaneuf’s Faces in a Urinal. 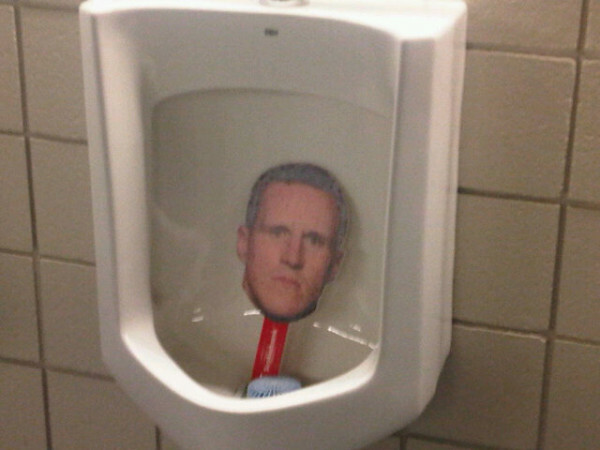 If you think Ottawa Senator Fans would be classier then this, well “urine” for a suprise. See what I did there? Yeah you like that. I know you do baby. Seriously though. Dion Phaneuf is brutal. Tammy Laverty Knows the Proper Way to Wear a Jersey. 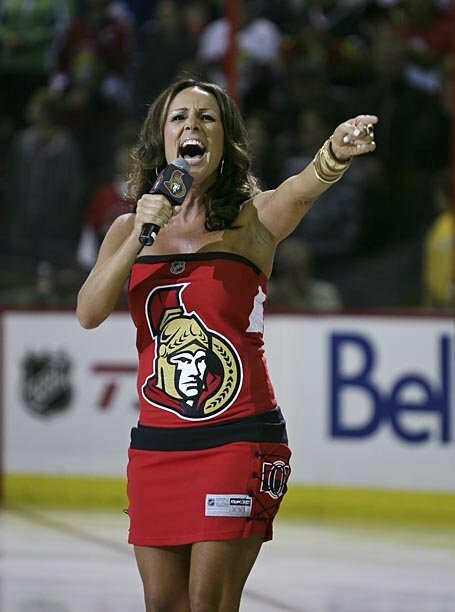 Sometime Anthem Singer Tammy Laverty, belting out the Anthem’s at last night’s Senators / Lightning game wearing a dress made out of the Senators Heritage jersey. This is her earlier in the year, in the Senators Regular Jersey. 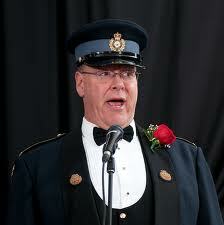 And this is their regular Anthem guy. In a police uniform.